Everi Games is the casino industry’s only full-service provider of slot machine games, content and payment solutions. 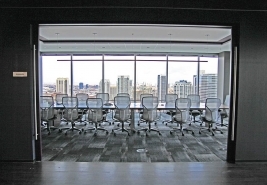 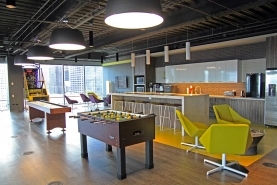 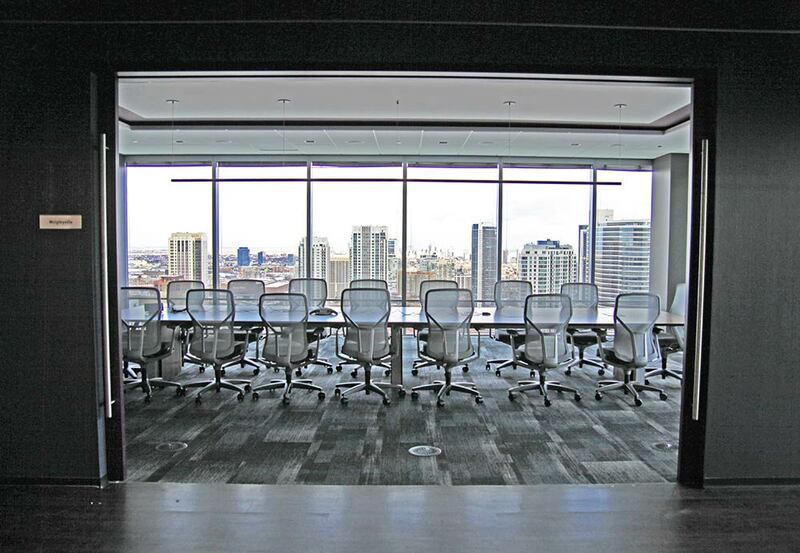 The company recently opened its newest location within the 540 West Madison office complex in Chicago’s West Loop. 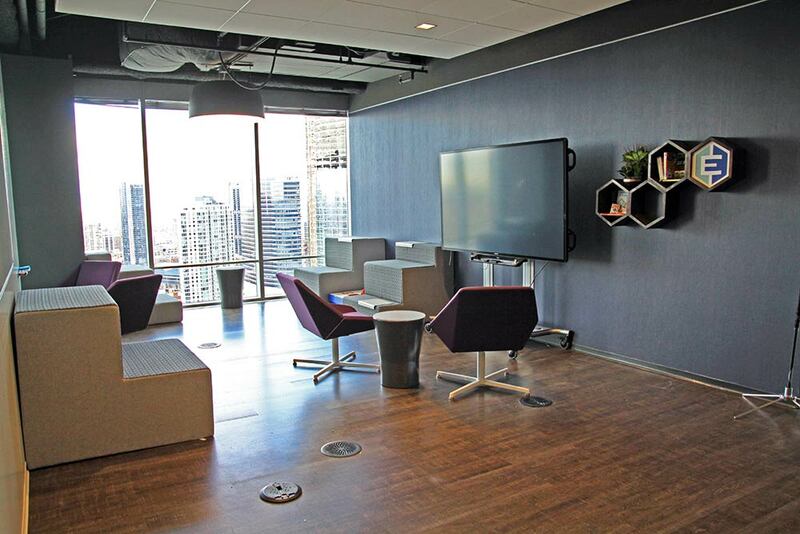 This state-of-the-art gaming studio consists of an open office layout, a slot machine test lab and showroom, sound-proof recording studios, a green screen media room and numerous collaboration and meeting rooms, each named after a different Chicago neighborhood. 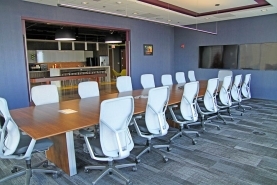 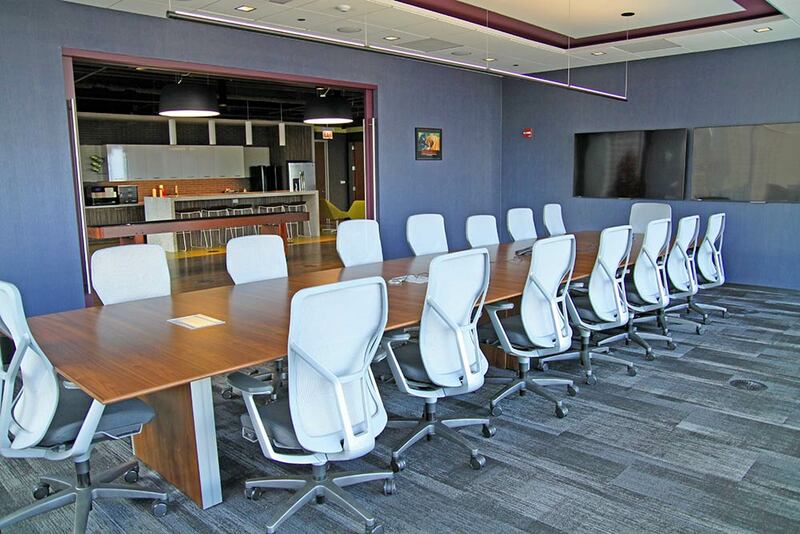 In addition, a large kitchen and lounge area was included in the space for employees to enjoy, featuring additional open meeting areas, vintage games and a neighboring executive board room with expansive views of the city.